By the way. Should you be interested to participate and do reviews of shows or albums, be our guest. Contact us through wono--magazine2011@hotmail.com. If you want to be alerted on new articles, follow our Twitter account: @WoNoMagazine. Let's get on with the most popular items of 2012. Thank you for your interest and see you in 2013! 6. The Kyteman Orchestra. A masterpiece? You can listen to 'Sympathy for the devil' here. 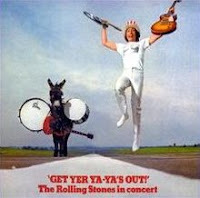 Let's have a look at another of my all time favourite albums, Get your ya-ya's out!, The Rolling Stones' second live album, released in 1970. I bought the album in 1976 and am now on my third version on cd. Get your ya-ya's out! is a live album with recordings of three shows in two days in New York's Madison Square Garden. It's the mach II version of the band and they have never sounded better live than on this record. Every live album after this Get your ya-ya's out! is a disappointment. How come? The Rolling Stones were a rhythm and blues cover band for the first two years of its existence, became a great singles band in the three years after that and from fall 1968 onwards found its true form as a fantastic album band, that released singles from these albums. All three sides come together on this album in a grandiose way, as the tracklist shows. Provided we take 'Jumping Jack flash' as an example of the singles period, which I do. It was the last single only the band released. Mick Taylor was only a member for about six months at the time, but he had totally found his way and soloed his way home in a fingerlicking good way. While Keith Richards, (Richard at the time) is as tight as he's ever been, even if he takes some solos also. The foundation laid by Watts, Wyman and Richards is very solid. As such the band is different from the Brian Jones era and now with Ron Wood. The famous Stones weaving took and takes place there. Not so with Mick Taylor. For one this version of 'Sympathy for the devil' is the best song that The Stones has ever recorded. It is driving, exciting, haunted and includes the best two guitar solo's ever played by the band. Taylor is a too good guitarist to just weave. Overall it is the mix of songs that makes Get your ya-ya's out! as good as it is. From the three, then, recent hit singles, the two Chuck Berry covers and the five album songs from the last two albums, 'Beggar's banquet' and 'Let it bleed', the mix is perfect. Rock and roll, blues(rock) and Stones songs as 1968 and 1969 set the standard for the rest of its career all come by. 'Midnight rambler' builds a tension that is released in the finale of the song as the tempo changes. 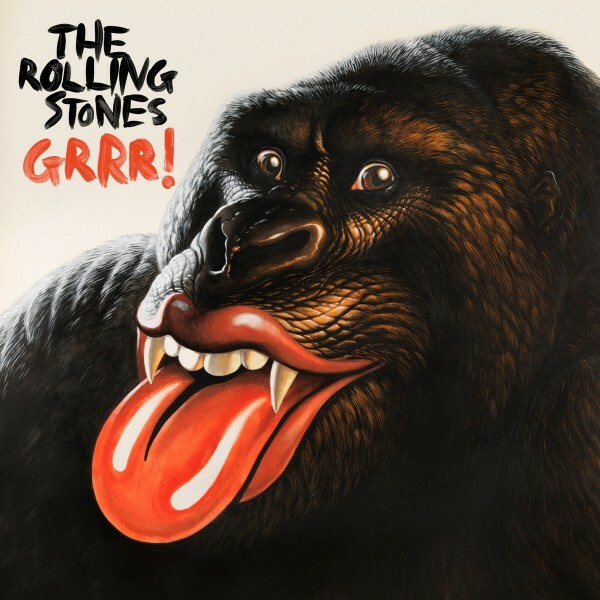 Jagger leads the band in a great way through this song, including a mean mouth harp. (It's not for nothing that Mick Taylor made his entrée in the 50 years and counting shows in this song.) Again he plays great here. How good the band is playing rock and roll covers is shown in 'Carol' and 'Little queenie'. Good and tight, while the Chuck Berry licks are down to perfection. The guitar work in 'Live with me' is so terribly exiting, that it makes me start practising again and again. I just love the very bluesy version of 'Love in vain'. On this album it becomes a Stones song instead of a rendition of a Robert Johnson song. 'Stray cat blues' is mean, dirty and alive, so much more so than on 'Beggar's banquet'. Let's not forget the three songs in which Ian Stewart shows his great boogie woogie and blues playing on piano. The Rolling Stones sold this man so short! In other words, except for the sixth Rolling Stone there's no one on stage. Just the band. In 1969 The Rolling Stones took back to the stage after a two year spell and managed to do what The Beatles could not. The band took their best two albums to date to the stage, played with modern PA systems that had been developed in the meantime and took the US by storm. The foundation for the rest of its career is based on this tour. The band even got back home with the first recordings for 1971's 'Sticky fingers'. Now The Rolling Stones as an institution has grown beyond the band they were in 1969. Far beyond and has become a living legend. Perhaps the band played many better shows than these ones in Madison Square Garden in November 1969, but in my humble opinion it has never recorded a better one. Get your ya-ya's out! is the stuff dreams and legends are made of. One great ride. One piece of bundled energy. One hell of a live album. And that's how come every live album since is a (relative) disappointment. Dave von Raven. Photo Wo. You can listen to 'Springlevend' here. This year The Kik surprised Dutch pop fans with a real Nederbeat album. (Click here for the review.) Beat from the top most shelve, to translate a Dutch saying. 'Springlevend' is exactly what the title promises: very much alive. With originals and covers in a 1966 pop-idiom that just beg to sing along with. 100% anachronistic and still almost everybody I know sings 'Simone', a cover of 1966 'The dancer' of Australian band The Allusions. So how does The Kik transpose this fun on record to the stage? Before the show an elderly gentleman next to me made himself known as the father of singer/guitarist Dave von Raven. A proud dad, that was for sure. As my girlfriend and I were there with our four kids ranging from 11 to 19, he wondered whether the kids liked the music The Kik played. The answer is very much yes, as all four stayed away from modern communication devices during the show and were truly enjoying themselves. Except to take pictures that is. From the very first song 'Springlevend' a storm was cooked up on stage that did not lie down before the final chord of 'Verliefd op een plaatje' was hammered into the audience. 'Verliefd op een plaatje' is the correct song to end the encore with, as in my opinion it's the band's best song to date. In between The Kik showed how good it is. Those fun guitar licks within the songs, jingle-jangles, the harmonies that go up/down at the end of line, the 60s sound of the organ and the fun to sing along with lyrics. It all spelt "hits" to me. And sing along the audience did and was given the opportunity to do so a few times. As 'Springlevend' only has 13 songs and most very short, we were treated to several new songs of which 'Straat Bali', with the lyrics of the bass player's granddad, is most likely to be a hit thanks to the la-la-la part. The intro to a new song in progress was let loose on the audience. Just to see how well down it would go. It sounded very familiar, to everyone with even one inkling of knowledge of The Beatles repertoire that is, as it consisted of one chord/stroke only. Dave von Raven, Arjan Spies, Marcel Groenwegen. Photo Wo. This side to The Kik was given ample time also. The introductions were sometimes very long, sometimes funny and a natural part of the show. Without taking the pace away. Usually this is not the case. Interludes from the stint as house band to the daily talk show 'De wereld draait door' were also very funny. 30 second snippets of well known Dutch songs like 'Mien waar is mijn feestneus' and 'De vogeltjesdans' went down quite well. The show left me feeling quite happy and content. As everything is upbeat, played and sung well, with loads of a mix of fun and energy. 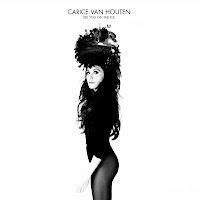 The combination of the songs of songwriters Dave von Raven and Arjan Spies with a few covers set to Dutch lyrics work very well. It may prove to be a challenge for The Kik to keep up this enormously high level of music. Time will tell. For now, The Kik live is the true epitome of beat music AD 2012. 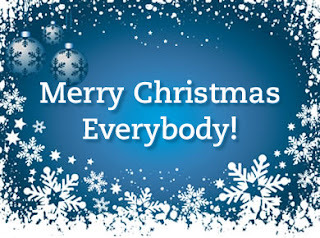 Something to see and enjoy with the whole extended family. 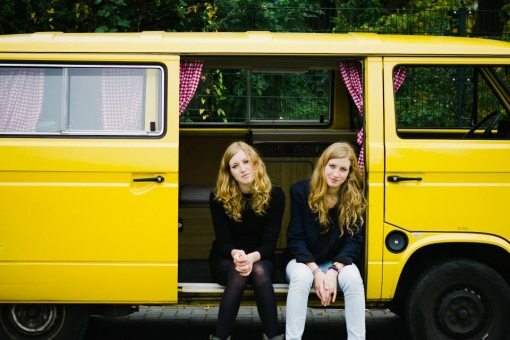 And readers not from The Netherlands, check out this band. Overcome your fear for a foreign language and you will be rewarded. You can order 'Springlevend' and the singles here on The Kik's website. Ik neem achter in de kerk plaats. Langzaam loopt de kerk vol voor een nachtmis. Om niets van dit schouwspel te missen heb ik, doordat mijn ogen last hebben van een kleine refractiefout, mijn bril meegenomen. Zo zie ik de kerk scherp en geniet van deze voor mij bijzondere gebeurtenis. Kan ik u alvast verklappen. Ik kan u helaas door wat ik meemaakte niet vertellen welke kerk het betreft in de sleutelstad Leiden. Een vrouw met een huilend kind zoekt een zitplaats. Het bezorgt mij ergernis. Ik maak haar duidelijk dat de drie lege zitplaatsen naast mij al bezet zijn. Die overigens onbezet blijven. Gelukkig heb ik om deze zaak van gevoelens in bedwang te houden proviand meegenomen. In mijn binnenzak heb ik een flacon met inhoud die mij deze donkere dagen tussen kerst en oudjaar zonder al te veel onrust moet doorslepen. Om het oude jaar dat er dan niet meer is en het nieuwe jaar weer schoon te beginnen. Ik zie het als een reiniging of gelijktijdig een wassing om mijn geest weer in het juiste spoor te krijgen. Nadat een aantal aanwezigen handen schuddend een zitplaats hebben gevonden. Begint de voorstelling met gezang. Een koor van jonge en oudere vrouwen. Het klinkt prachtig en doet mij een aantal keren moeilijk slikken. Ben onder de indruk. Kijk de hele ruimte nog eens aandachtig rond. Mijn speciale aandacht blijft rusten bij de enorme kerstboom in de hoek vlakbij een witte zuil die zich mooi aftekent tegen het binnen stralen van het volle maanlicht, door de afgebeelde Bijbelse figuren glas- in- rood raam. Ongestoord pak ik de flacon uit mijn binnenzak. Schroef het open. En doe mij tegoed aan de inhoud. Het koor beëindigd het gezang in een lange echo, dat terugkaatst tegen het hoge plafond. Bij de aanwezigen voel ik beroering. Een stilte die je nog maar weinig tegenkomt in deze tijd met zoveel mensen bijeen. De dominee spreekt een gebed. Door zijn donkere stem hoor ik niets van wat hij oreert. Ik wieg de flacon om de hoeveelheid ervan te kunnen traceren. Neem nog enkele slokken. Schroef het weer dicht en steek het weer in mijn binnenzak van mijn colbert. Het koor zingt nog enkele coupletten. Tijdens het gezang voel ik een aanblik vanuit de hoek nabij de kerstboom. Tussen de zuil en het raam is een doorschijnend gezicht te zien. Ik poets snel nog mijn brillenglazen en voordat ik het weer opzet is het verdwenen. Wel zie ik dat als bij een lekkage vocht langs de zuil loopt. Als de aanwezigen opstaan en de kerk verlaten blijf ik als laatste zitten. “Is er iets?” hoor ik de dominee vragen. Ik sta op en verlaat de kerk op weg naar huis. You can listen to 'Time is on my side' here. Having just bought the 10" version of 'Doom and gloom' for an amount of money that would nearly have bought me Grrr!, I thought why not write a review on the new greatest hits album of one of my all time favourite bands. The Stones and I go back to 1969 with the release of 'Honky tonk woman'. My first Stones song, soon followed by 'Through the past darkly', a compilation album owned by my 3 year older neighbour Hans. That relationship developed in me becoming a great fan, having seen the Stones play on all tours since 1982, owning a big stack of singles, although I will never be complete, albums and dvds. Of course Grrr! is totally unnecessary. Owning several compilations and live albums that are basically alternative compilation albums, there is absolutely no added value in Grrr! Two new songs, that's about it and a great cover, I'll grant that. However, if we look at the content on offer, then there is absolutely no denying that the quality of songs is exceptionally high. Starting with first single 'Come on', a Chuck Berry cover released in 1963, all the way to the new song 'One more shot' recorded in August 2012, there's 49 years of rock and roll history captured on the three discs of Grrr! The rather bland, but fun, 'Come on', is soon followed by better covers like 'It's all over now' and 'Little red rooster'. It is from 1965 onward that the Stones basically start writing their own songs and the moment that the influence of Brian Jones on the band started to wane. These first six years are over-present on the three discs for one simple reason: Between 1963 and 1969 the band is a virtual hit machine, releasing a hit single about every few months. It's from 1969 onwards that hiatuses start to show and after 1989 five year or more cycli are no exception. And the band had stopped being a hit machine years before that. What it did do, is add fans each year along the line, where most other bands fade away. Grrr! does show that the band has delivered the goods on its later albums. Not even all highlights are on this compilation and some of the best album tracks were added instead of just singles. Live shows I've attended, proved that 'Saint of me' is a great song and embraced by the fans as well, as is 'Anybody seen my baby?' (1997). 'Love is strong (1994) is a great single. 'Tattoo you' (1981) is one of my favourite Stones albums of all time, although it sounds strange to speak about a 31 year old album as later work, but it is really. There is a strong line of singles as well all the way up to 2012's 'Doom and gloom'. You can listen to 'Afterglow' here. A while back from everywhere a buzz was created that this was a band to listen to: The Crookes. For some reason or other I never got round to it. As things go with hypes from the U.K. there was a review on the first album, 'Chasing after ghosts', that was only so so and that was it for The Crookes: I forgot about them. Till recently I laid my hands on 'Hold fast' and decided to give it a spin. What I heard was far from groundbreaking, but it is a nice album. 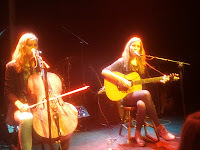 Poppy with lots of pleasant melodies and guitars all over the place. 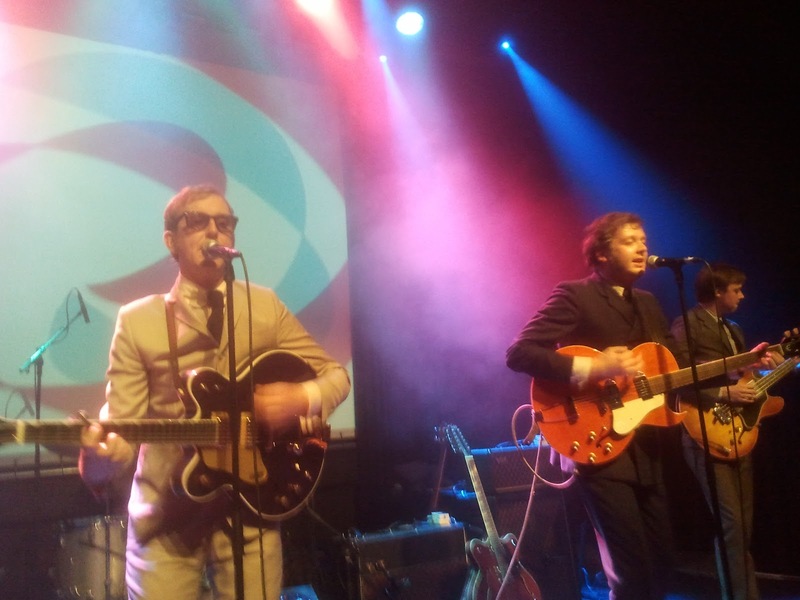 There is nothing much modern about The Crookes. Even the moniker Britpop does not stick to the band. I'd say that 50s and 60s pop is a better description. The way a song like 'American girls' is presented is a modern sounding version of a song The Animals or early The Small Faces could have played. The difference is that The Crookes play originals and UK bands around 1964-5 played loads of covers from the US. A song like 'Stars' could in a very different arrangement perhaps even been sung by the likes of Johnny Ray. If we set aside all that says bands need to be the spearhead to new music, than we can take a look at Hold fast at its own merit. The Crookes present a lot of fine songs, with a good melody in a few styles. Surf guitar, bare Gene Vincent rock, 1965 beat. Four young Brits from Sheffield with a fascination for older music. In this they are not totally unique. If you listen to Hold fast, you will find quite some references to more modern bands that like to play the same sort of music. Let me suffice with mentioning The Rifles. Listening to Hold fast gives me the idea that The Crookes is one step more authentic than some others. The sound even comes close to Chris Isaak on Sal Paradise. 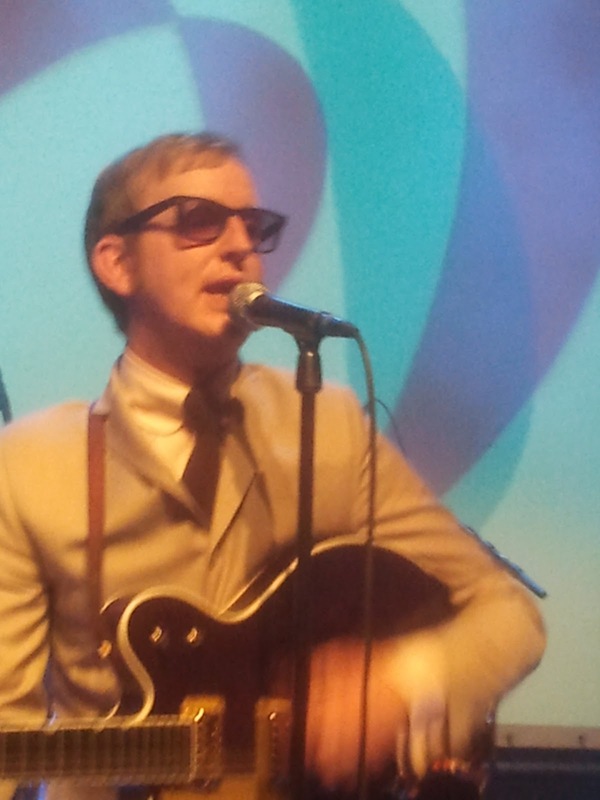 George Waite's voice misses the crying bend in Isaak's voice and there is less echo on the guitar. The influence of, in other words, Roy Orbison, is obvious here. At the same time the band likes to let a rock-pop sound into songs as well. 'Sofie' has this poppy quality with its easy to sing along refrain and clear sounding lead guitar sound. And this is where the influence of The Smiths betrays itself to me. Nowhere more obvious as in 'Where did our love go?' There's some The Jam in there as well. A question begs itself to be asked. 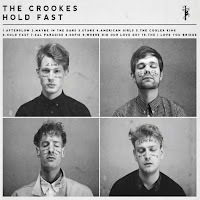 Are there any The Crookes in Hold fast? That is a tough question to answer. There are several songs that could have been recorded by the artists mentioned without having stood out. And there is the compliment for The Crookes. Hold fast holds a collection of great pop-rock-beat songs that stand out on their own account and as such is enough for me to be content with. Nothing new under the sun, but as long as it has this quality that's fine by me. You can listen to and buy Heart in a mason jar here. One of the very first reviews on this blog was the first album of The Parlor Soldiers (click here for the review). 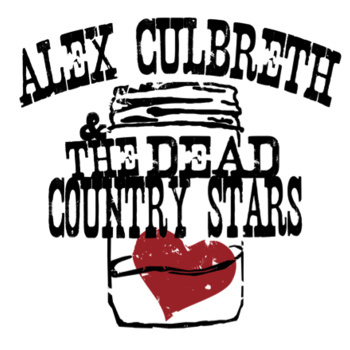 Alex Culbreth is the male half of this Fredericksburg, Virginia, based duo and now has released his 10th solo album, Heart in a mason jar. Those who are familiar with 'When the dust settles' will not be surprised that Culbreth roughly works within the same idiom. So I was presented with a mix of alt.americana, balladry, country and bluegrass. As this is a very traditional form of music, for me the distinction is whether the songs hold up. Let me get to that below. What surprised me, is that there are some rock influences as well, which I also very much like. You will know what I mean if start playing the first song of the album. If this album teaches me something it is that perfection is not what Alex Culbreth searches for. Passion and at times excitement come closer in my opinion. So no clean singing here, but a voice that shows itself the worse for wear and tear in a charming way. It's rough, with some edges and hooks that can tear up a lyric line where called for. Some people may have to get passed his voice first, but to me he could be the son of Levon Helm. And aren't the songs that Helm sang in The Band, the bests ones, really? So here Culbreth has won me over easily. Musically the same happens. If he went on to play in The Hackensaw Boys, also from Virgina, just down the road in Charlottesville, they would have a great songwriter among its midst. Some songs would definitely work in this fired-up bluegrass band. Just listen to the way 'Bang bang' kicks in, then you know what I mean. It's not just Alex's voice that reminds me of The Band. A song like 'By and by' would certainly look good on an album like 'The Band'. The setting is just more traditional, with mandolines and violins in there, than most The Band songs. The album kicks of with the title song, that is more electrically charged than a lot what happens later on. Despite I like the song a lot, it does set the listener on the wrong foot though. The same goes for song number 2 (great title!) 'Drinkin' about you', which is pure country (and nearly too much so for me). It's only after this that Heart in a mason jar comes into its own right. The variation of songs is not something that stops, but it all fits better together. The tempo may go up or down, The Dead Country Stars gel. Regularly the fiddle of Eddie Dickerson and the banjo of Jimbo Carrico stand out as dominant instruments, as they are supposed to in traditional US music. Several band members sing behind and with Alex Culbreth giving the impression that we all could sing with him. A sing-a-long in the pub or at a summer camp fire, but with people who can really lay down a background vocal. In the duets with singer Rachel Childress, as in 'I'm going to Nashville', Culbreth comes closest to The Parlor Soldiers. With this song we have a beautiful bitter-sweet ballad, that is about leaving, but not as if he does so wholeheartedly. "I hope it's better in Nashville" explains his hesitation. 'Rattle them chains' is again electrically charged and bluesy. By then it's clear that the listener is on a musical adventure and only has to follow the roads and bends Alex Culbreth wants to take. It has become my pleasure to do so, as Heart in a mason jar is a very good and well-balanced album. There's even a little room for a political message in 'Let's send the politicians of to war'. Perhaps not very original, but it would sure end wars sooner if they got to fight instead of 20 year olds. If they happened at all. 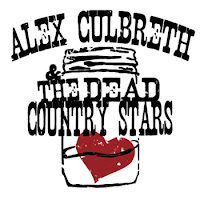 After 'When the dust settles' Alex Culbreth has come up with a very good solo album that ought to appeal to everyone who likes his alt.americana a little bit rough at the edges, but inventive and varied. So do these songs hold up? Oh yes, there's a fan to add to his solo fan base. 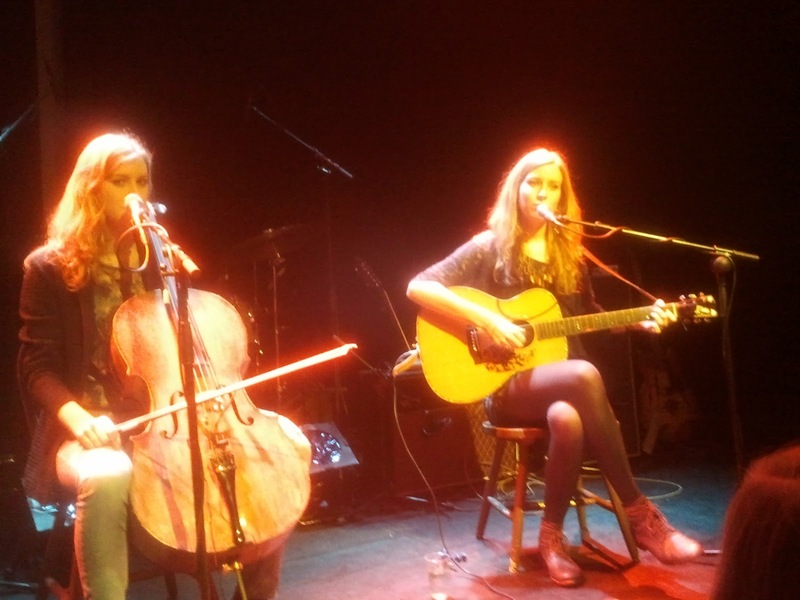 Click here for the interview with The Parlor Soldiers on this blog. You can listen to 'Miss you' here. Clinic is a band that I knew of one album a friend gave me a copy of to listen to. The eclectic mix of slow songs and staccato up tempo songs on 2002s 'Walking with thee' with its strange sounds as lead tones worked pretty well. The four up tempo songs still come by in my car through the mix tapes I made years ago. After that I lost the band from sight again. In the past ten years they apparently made four other albums that totally passed me by. 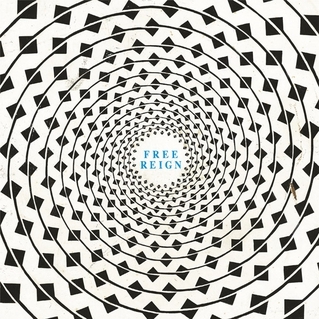 And then I laid my hands on a copy of Free reign. To my surprise I like the album even better than 'Walking with me' as Free reign works better as a whole. Not that so much has changed. The term I'd use for describing the music Clinic makes is estranged. Clinic almost pushes people away - and probably actually does so with a lot of people. Too weird, too strange. The singing seems to cling to the edge of sanity, perhaps the other way around, trying to remain insane enough to convey these moments of anxiety and uptightness. Like in 'Seamless boogie woogie, BBC2 10pm (rpt)'. It's like Frankenstein, the monster that is, singing to a girl "you're beautiful. You're beautiful". What do you expect the girl to do? Clinic is around since 1997, stemming from Liverpool and hasn't changed band members once since. Adrian Blackburn, Brian Campbell, Jonathan Hartley and Carl Turney play respectively guitar, bass, guitar and drums, but after that it seems a free form on who does what to create the end product. Keyboards, woodwind or brass, what comes at hand to contribute to the overall atmosphere. The moment you listen passed the tenseness, a world of beauty shows itself. Not very much unlike The Black Angels on 'Phosphene dream'. 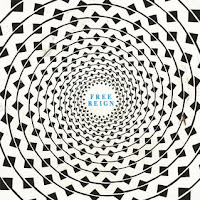 If you allow yourself to be hypnotised by the sounds on Free reign they take you to another world. The sax solo on 'Cosmic radiation' is mesmerising in its beauty, while the wah wah guitar in my other ear does its best to turn the song inside out and fails. It may be haunting this song, but its beautiful at the same time. The production of Free reign gives the album its eeriness. Like sounds in a huge cellar beneath a castle, all dark. Echos, reverberations from the walls, creaking wood, that is the atmosphere here. 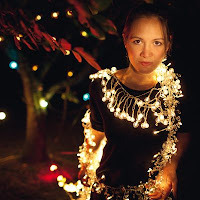 At the same time Clinic lets in just enough pop influences and melody to not go over an alternative edge of avant garde. Its use of vintage keyboards give all sorts of bleeps to upset the pop element again. Adrian 'Ade' Blackburn's voice is treated electronically to assist the atmosphere towards the otherworldly. A bit, yes, clinical. But that goes for every other instrument as well, as if a digital veil or blanket was laid over the sound. The effect it had on me, is that I'm listening to a very exiting album, with weird but exciting sounds coming out of every nook and cranny of the cd. I let Clinic surprise me and they did. Great fun!